joyous holiday season and prosperity in the New Year! 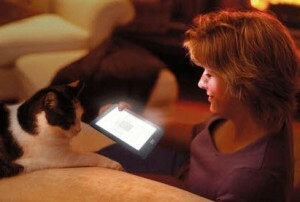 how to give an eBook as a gift, the best eReaders for 2012, and more. This entry was posted in Uncategorized and tagged ebook, gift on December 19, 2012 by First Edition Design Publishing. 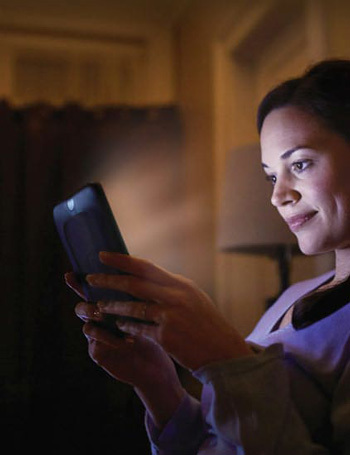 The Kindle was not guaranteed to catch on when Amazon introduced its e-reader five years ago, but e-books are now a routine alternative to hardcovers and paperbacks, constituting about 25% of publishing’s revenues. That’s good news for the trees, but it presents holiday shoppers with a quandary: How do you give and wrap an e-book? First, it helps to know what kind of device your recipient has. There are dozens of e-readers and tablets on the market, with prices ranging from $69 for text-only Kindles to the $829 top-of-the-line iPad. In between, there’s Barnes & Noble’s Nook ($199-$299), Microsoft’s new Surface ($499-$699), and an electronic store’s worth of choices. If you are shopping online, most major companies make it surprisingly simple to give e-books as gifts. Beyond the oh-so-common giftcards, both Amazon and Apple offer online gift purchases of specific e-books and apps. Instead of buying an item for yourself, click the gift button — you can even schedule electronic delivery ahead, for just the right holiday moment. This entry was posted in Uncategorized and tagged amazon, ebook, gift, kindle on December 11, 2012 by First Edition Design Publishing. O’Reilly Media’s Tools of Change and Publishers Weekly are collaborating to launch a new conference called Author (R)evolution Day, aimed at professional authors, content creators, agents, and other independent author services providers. This daylong conference-within-a-conference debuts Tuesday, February 12, 2013 during O’Reilly’s flagship TOC conference in New York City. Author (R)evolution Day will answer the demand for important ideas, strategies, and conversations about the future of publishing from a key constituency in publishing’s future–the authors and creators. This entry was posted in Uncategorized and tagged author revolution day, authors, books, indie authors, writers on December 6, 2012 by First Edition Design Publishing. What do publishers do in a world where anyone can publish a book? It’s a question with a good answer. What isn’t as clear is what publishers do in a world where anyone can be publish a best-seller. One of the interesting trends in the ebook revolution is that established authors who have had long-standing relationships with large publishers have in some cases decided to abandon those publishers and go it alone. Some of them have been so successful at it that they’ve made more money doing it themselves than they ever did working with a large publishing house. Take Bella Andre, for instance. She has been published by Hachette, Random House and Simon & Schuster but has long since left the traditional publishing world to go it alone. She told me earlier this year that she made over $1 million in 2011 and recently told TIME Magazine that she’s made $2.4 million this year. In the past three months, she has appeared on the Digital Book World Ebook Best-Seller List twice. This week, another self-published author with a long history publishing with full-service publishers rocketed up the list. Stephanie Bond’s Stop the Wedding is currently the No. 6 best-selling ebook in the U.S. Bond has been published by HarperCollins, Macmillan, Random House and others. In the past few months, Bond has had several top-selling titles that have graced best-seller lists (here, here and here, to name a few). Publishers are of course not ignoring the opportunity in self-publishing. Most recently, Simon & Schuster decided to launch a self-publishing business in partnership with Author Solutions. Author Solutions is another good example of publishers trying to capitalize on self-publishing: One of the world’s largest self-publishing platform businesses, Author Solutions was acquired by Penguin earlier in the year for over $100 million. Publishers are also using the self-publishing world as a new source of talent. For instance, Simon & Schuster recently acquired the rights to distribute some self-published works by Tammara Webber (Slammed and Point of Retreat) and Penguin went ahead and acquired the rights to publish her hit Easy. At $0.99, Stop the Wedding isn’t your typical ebook best-seller. Most ebook best-sellers are published by the largest publishers in the world and sell for over $10.00. So, the book isn’t racking up the revenues like the big boys — but it is racking up the readers and that’s something worth paying attention to. This entry was posted in Uncategorized and tagged bestseller, ebook, self publish on December 5, 2012 by First Edition Design Publishing. Mississippi poet Natasha Trethewey becomes the 19th poet laureate of the United States. A Navy SEAL who participated in the raid that killed terrorist leader Osama bin Ladenreleases his accountof events under the pseudonym Mark Owen. The Pentagon threatens legal action. This entry was posted in Uncategorized and tagged gore vidal, natasha trethewey, newbery medal, pulitzer, ray bradburry on November 26, 2012 by First Edition Design Publishing.